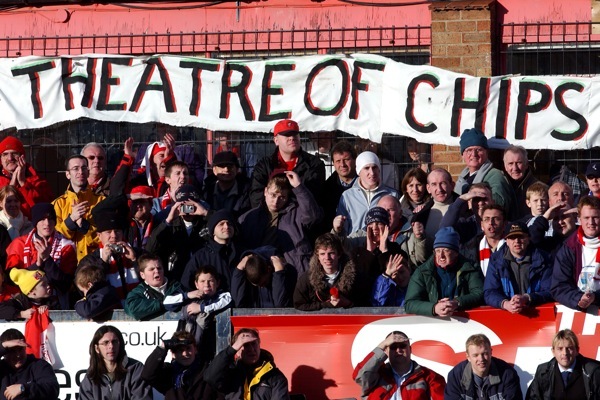 Spotted at Scarborough’s McCain Stadium, during their FA Cup match against Chelsea in January 2004. Loving your work, people of Scarborough. Sadly, the oh-so-tasty Theatre of Chips has since had its chips. The stadium is now derelict and due to be demolished – if Scarborough Council pulls its collective finger out. gives a new meeting to going down the chippie i guess in Scarborough.